If it’s the end of December, then it’s time for our last episode of the year- our round up of the best movie moments of 2018! This year, Action, Horror, Indie, Drama, Foreign and Documentary films make up our lists. From the blockbuster Black Panther to the silent thriller A Quiet Place to the indie darling, Eighth Grade, we break down which moments moved us to tears, made us laugh and kept us on the edge of our seats. But wait, there’s more! For the first time ever- we are sharing our picks for Entertainer of the Year. We first discuss our runners up and why they made our list and then we announce who each of us chose as THE Entertainer of the Year! File this episode under “Life Goes On”. Yes brothers and sisters, we’re still coming to terms with last week’s election, so we begin this week’s show with a discussion of the pop culture we consumed over the past week as a means of escape, comfort and inspiration. We watched everything from Westworld to Moana; listened to Nina Simone and attended the Maxwell and Mary J. Blige show at MSG in an effort to soothe our hearts and minds. 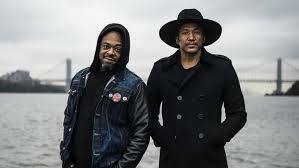 Then, we discuss the album that was a tiny light amidst the gloom – A Tribe Called Quest’s new release, We got it from Here… Thank You 4 Your service. We review the album, talk about Tribe’s place in the Hip Hop canon, rate favorite tracks and celebrate their triumphant performance on Saturday Night Live. We also talk about highlights from what we think will go down as one of the most important episodes in SNL history thanks to Kate McKinnon’s incredible cold open performance and Dave Chappelle’s brilliant turn as host. 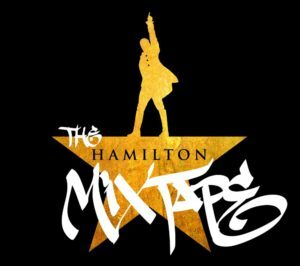 We also preview the highly anticipated Hamilton Mixtape, a collection of re-recordings of the songs from Lin-Manuel Miranda’s hit musical, Hamilton. Sean is a Hamilton obsessive (remember the House of Hyperbole?) and Amita has yet to see the musical or listen to the cast album. Listen to hear their reviews from two very different perspectives. We’re also excited to bring you the first in our Producer to Producer series in which we interview a producer about their latest work. We launch the series with Joel Bach, co-creator of the Emmy Award-winning series, Years of Living Dangerously. The show explores the effects of climate change in the world through the eyes of high-profile celebrities. We find out how producers sent Arnold Schwarzenegger to the Middle East, Gisele Bundchen to the Amazon and also learn what YOU can do to join the battle to save our planet. And we cap the show off with The Big Sell. Find out what Amita thinks of Sean’s Valerie June Big Sell. And discover the new music video Amita has to share with Sean. Actor Riz Ahmed ( The Night Of, Rogue One) appears on the Hamilton Mixtape as Riz MC. Here is a clip that features his flow with none other than Childish Gambino! Check out this dynamic duet right HERE! Post election, Sean traveled back to the early 90’s. A time where a Clinton won the presidency! Enjoy this clip of Michael Stipe and Natalie Merchant performing To Sir, With Love to celebrate a new era. 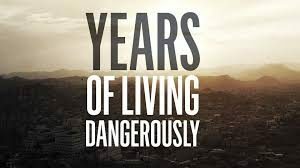 Head to the Years of Living Dangerously Action page to get more information on how you can contribute to the climate change movement.